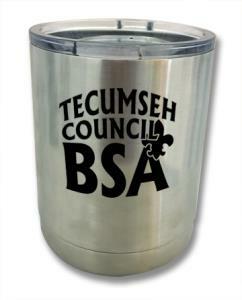 12 oz Tecumseh Council Laser Engraved Polar Camel Tumbler available in two colors: Black or Stainless. You will receive an email when your order is ready to be picked up at the Tecumseh Council Scout Store. Allow 2-3 weeks for delivery to the Scout Store.